How do novel cell types arise in evolution? 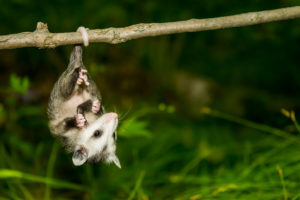 Of the many things that differentiate a human from a kangaroo or an opossum, one of the more subtle is the decidual cell, which is found in the lining of the womb of placental mammals but not in marsupials. Unlike most of the cell types in our bodies, decidual cells are of relatively recent origin, having first appeared between 100 and 200 million years ago. Their relatively late evolutionary arrival, along with their uniqueness to certain types of mammals makes decidual cells an ideal candidate for investigating the ways that new cell types appear and evolve. Günter Wagner, a biologist at Yale University, oversees a lab that studies the evolution of cell types and other complex traits. Aided by a recent grant from the John Templeton Foundation, Wagner undertook an analysis of decidual cells to understand how they first emerged. Although these cells are unique to placental mammals, both they and marsupials have the precursor cell to decidual cells — cells known as endometrial stromal fibroblasts. For his experiments, Wagner’s group focused mostly on cells from opossums and humans, although they also carried out some studies on other placental mammals including armadillos and hyraxes. Wagner hypothesized that the evolutionary origin of decidual cells would be found in the gene regulatory networks that determine how a cell responds to its environment, which might under certain circumstances trigger developmental changes leading to novel cell types. The team’s results suggest that this is indeed the case — and suggest that the current gene regulatory networks in these cells may in fact be rewired by cellular stress responses. “What was surprising was the extent to which these two systems are actually similar,” Wagner says. This similarity led his team to propose a new model for the origin of novel cell types where those cell types constitute solutions to problems that the ancestral forms of the cell could not address. In this case, the first decidual cells seem to have developed as a response to stress responses experienced by the ancestral endometrial stromal fibroblasts of the placental mammals’ common ancestor. Wagner has been assisted in this project by a team of graduate students and postdoctoral fellows in his lab, with notable contributions made by Vincent Lynch, now at the University of Chicago, and Koryu Kin, now at the University of Dundee in the U.K. Eric Erkenbrack, a postdoc in Wagner’s lab, was the lead author on the PLoS Biology paper that outlined the cell stress response theory. Learn more about the work of Günter Wagner’s lab at Yale.